Electrical systems are a notoriously tricky aspect of boat ownership and maintenance, especially when you consider the damp, salty and bouncy environment in which marine electrical components have to operate. 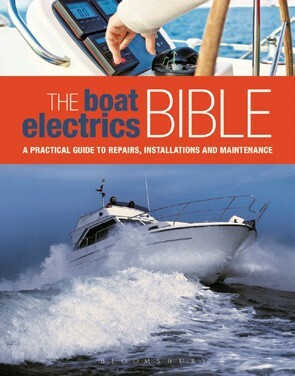 If you want to build confidence and boost your self-sufficiency by learning how to find, prevent and resolve onboard electrical problems, The Boat Electrics Bible is an indispensable, comprehensive guide. With hundreds of detailed photographs and step-by-step diagrams, author Andy Johnson provides expert advice on understanding electrical circuits, keeping batteries charged, finding faults, installing new equipment, hooking up to shore power, grounding and bonding, safety issues, renewable energy systems, and much more. Andy Johnson is an electronics engineer with extensive experience in a variety of commercial and marine settings. As a qualified Yachtmaster Instructor, he provides training in navigation, radar, boat electrics and electronic systems. He and his wife Sue enjoy heading off in their boat to wherever the weather allows.